Priests in Hindu temples usually come from families with long heritage of priesthood. They are well-versed in Hindu scriptures and Sanskrit language in which most of the scriptures are written. One of the major duties of priests is to perform worship of the deities (called pooja) on behalf of devotees requesting such a service to the deity of their choice. Each deity is worshipped in a different way-- rituals are different and different Sanskrit Mantras are chanted. 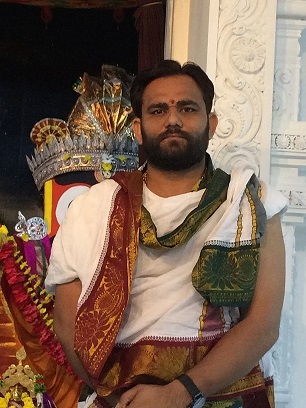 Typically temple priests do not engage in preaching (which is done by Swamijis, or Hindu monks). They will, however, explain the meaning of the pooja if asked. Towards the end of the pooja, an oil lamp with one or several wicks is lit (called Aarati), and with ringing of bells and gongs and chanting of mantras the Aarati is waved slowly in front of the deity around in a vertical oval traversing the whole deity from head to foot. At the end of this ceremony, the Aarati is taken to the people attending the pooja to absorb the spiritual vibrations. Temple Priests perform daily poojas to the deities in the temple in the morning and evening to maintain the sanctity and the spiritual atmosphere in the temple. 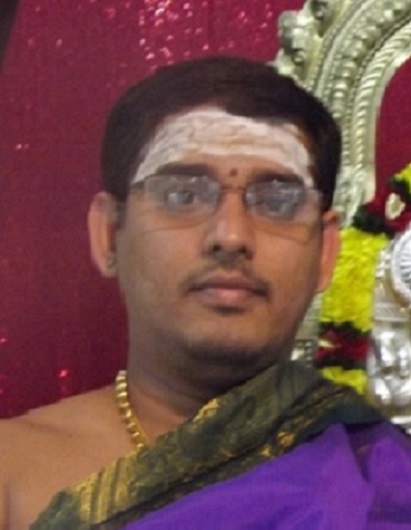 The priests at HCCNA are well versed in Agama Sastras and Vedic Sastras. 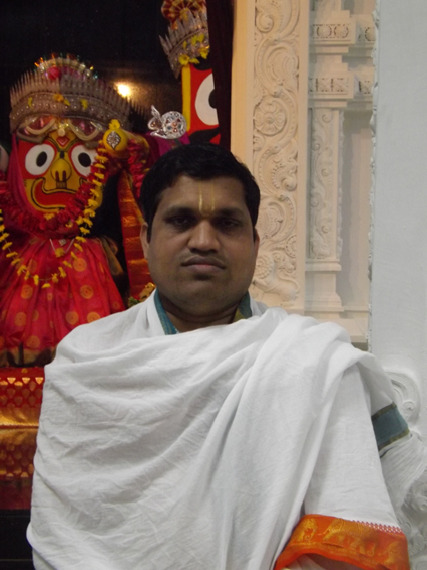 They have extensive experience in performing Archanas, Poojas, Homas and Abhishekams. They are highly qualified and well versed in all Hindu scriptures with years of experience in performing all poojas and ceremonies. Priest services are also available to devotees homes. Devotees have praised their high standard of performance and the manner in which poojas and abhisekams are conducted with dedication and quality. They are conversant in several languages including Hindi, Gujarati, Telugu, Odissi, Tamil, Kannada and English.